The Health-o-meter 594KL Health-o-meter Professional Digital Chair Scale is a 100% digital scale that efficiently provides accurate weight measurements. With a weight capacity of up to 600lb, this scale is perfect for all circumstances in which standing may be difficult. this chiar scale is recommended for rehab or long term care. The EMR connects via USB, and 6 rechargeable batteries with a recharger are included. Many convenient functions are included with this chair scale. The large LCD display features LB / KG Conversion, LB /KG Lock Out, Body Mass Index (BMI), Zero, Tare/Pretare, Hold / Release, Reweigh, Auto Zero, and Auto Off. 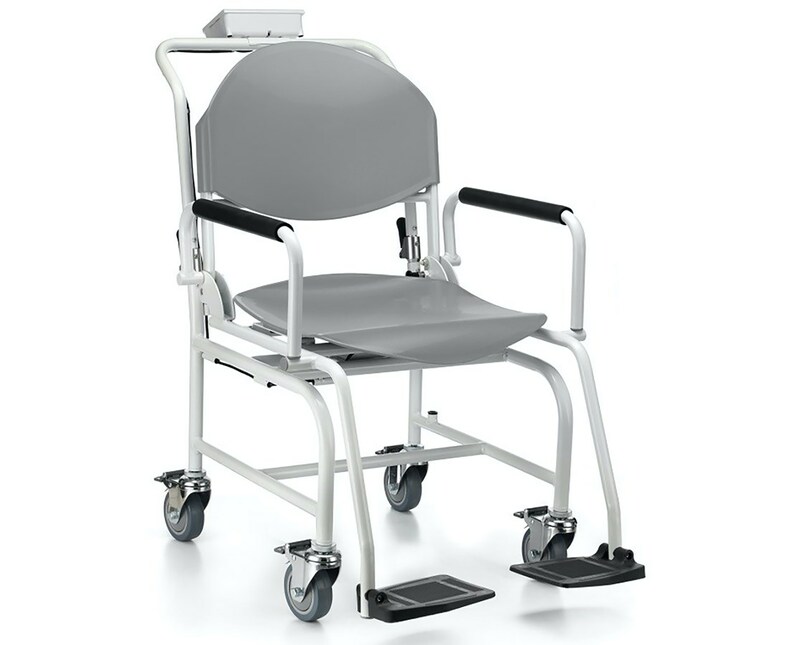 Built-in wheels ensure easy transportation. 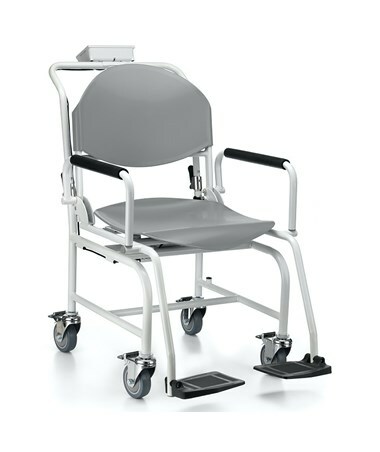 Designed with comfort and convenience in mind, the arm rests and foot rests are adjustable, and the large secure seat is easy to clean and suitable for any sterile environment, and is excellent for rehab or long term care. This all steel scale can be relied upon to provide years of user-friendly service. This scale has a 2-Year Limited Warranty, and is also eligible for Optional ScaleSurance 2 Year Extended Warranty. To purchase this product, simply click "add to cart" above to complete your order in a few easy steps. Overall Measurements 33” x 24” x 37.5"
Accuracy +/- 0 .6 lbs.